In Neuromancer, the dream of brain-computer interfaces has become a computing reality (people dream about that right?) and hustlers like Case have capitalized on their augmented ability to hack complex computer systems. After being poisoned and becoming addicted to drugs, he is then “saved” by a mysterious figure looking for a cyber-cowboy like Case, but his saviors only lead him to an even more mysterious and dystopian underworld. This was a really strange…and dumb week for me. I chose to listen to the audiobook (published in 2011 by Books on Tape) because I’m still struggling to get through Cyteen and I thought, even though I really wanted to physically read this one, that I could score some kind of mega-bonus, triple-double reading time by listening to one book while I drive and run and reading Cyteen at night. As it turns out, my resolve completely failed and while I made it through Neuromancer just fine, I read almost nothing from Cyteen all week. AHHH! Instead, I sat around drinking wine and watching the first season of ‘24’ (which is soo BAD, but it was nice to just relax and laugh at something stupid with my wife) while the house crumbled around me. So it turns out, I probably should have just read the stupid book since it was pretty short anyway and as I’ll go into later, would have been a lot more enjoyable. 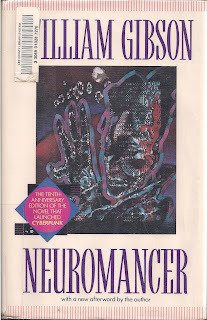 There was a lot I enjoyed about Neuromancer. Mostly, it fits into a gigantic lexicon of books and films that never fail to disappoint me. Of course it’s easy to make comparisons to Blade Runner (I wouldn’t say Androids so much though) or The Matrix, (though I would say Ghost In the Shell is probably a closer match). The best way I can describe my experience though, is like that of possibly reading a Cronenberg film from the late 70’s to early 80’s. I don’t know if this makes sense to anyone other than actual fans of movies like the delightful, Videodrome, but the dark and oozing atmospheres, the quick use of slang that is both arcane and familiar, the comfortable and easy relationship between male and female protagonists that still bleeds tension off the page, the attractive yet terrifying underworld, all reminded me of those same aspects of some of Cronenberg’s greatest. While all that comparison is fun, there’s really no need though. Gibson’s drug addled, illicit electronic setting is unmatched by anything it has ever been compared to. This was - by far - the worst audiobook experience I’ve ever had. The reader, Robertson Dean, had a lifeless, dead pan delivery that maybe someone thought could have actually worked with the dark and brooding tone of the book…I suppose… The actual effect was to completely disrupt my attention and enjoyment of what was otherwise exactly what I needed to read right now. I actually have many gripes about the choice of Dean for this book. I know how easy it is to get an audition for a voice actor and I know there are many great voice actors out there so I am having a really hard time understanding why a man who does not possess the capability to affect a Jamaican patois in any way AT ALL would be chosen for this role. I always hate to completely trash a book (in this case audiobook) without finding something worth a positive mention, but this is a rare case in which the garbage is the only appropriate place for this recording. Dean completely manhandles and nearly ruins a book that is so overwhelmingly moody that it must have actually been difficult to read it with so little emotion. Please if you are considering an alternative experience to just reading this book, pass the audiobook up and just wait for the movie. My recommendation is simple, but also mainly directed back at myself: READ THIS BOOK. There have actually been a couple of Hugo winners that I’ve immediately identified as potential re-reads in the near future and this one immediately jumped to the top of the list. That which I loved most about this book, the shadowy cyber-space underworld subculture and the brooding and edgy visual and emotional textures were exactly the elements that most suffered from Robertson Dean’s reading. But even more than trying to correct my horrendous mistake, there are so many levels of subtle and nuanced seediness that I’m pretty sure it will hold up to years of re-reading. This week’s book is The Fountains of Paradise by Arthur C. Clarke. Yet another from the Master. It’s short, so I’m not going to make the same mistake twice. I’ll definitely be reading! Next week’s book is Ender’s Game by Orson Scott Card. I had an audio-book experience with Mark Hamil that I would rather forget. I spent most of that portion of the road trip alternately growling and mocking. the husband is a William Gibson fan. I understand Neuromancer is the first in the Sprawl series, but I don't remember how he felt about the 2nd and 3rd books. We picked up the three that make up the Blue Ant series at a Library sale and I hope to read them next year. Thanks for the heads up on the film. It's likely I will end up seeing the film first, but it (and this review) may also be the impetus I need to try to read it first. Oh man what a bummer way to spend a road trip! What was the book? I love finding super cheap books at library sales. My library has a couple shelves always out with $3 hardcovers and I've found a couple of gems for real low cheap that way. 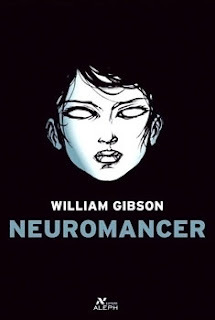 I think I'll try to re-read Neuromancer before I move on to the rest of the series, but I'm real excited to try anything else from Gibson. 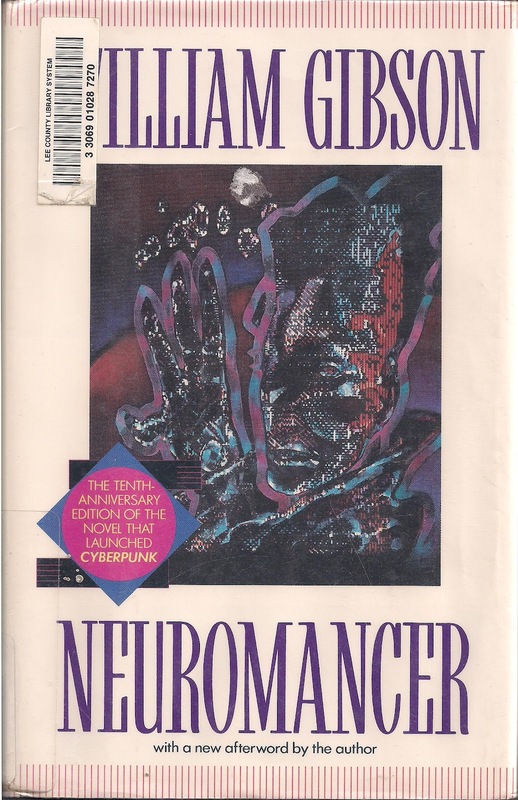 I recall liking Neuromancer when I first read it in highschool...but it was also a little weird for my at-the-time sheltered and narrow perspective on sff. I should go back and give it a try. Also, just thought I'd say that I wrote a post today highlighting your blog. Keep up the great work! uh...SWEET! I'm checking it out now. I can't remember much from the novel, having read it in a year or two after it won the Hugo, but do recall a string of geeky IT cliches, most now contemporary idiom in computer technology. Also pretty decent noir. I wouldn't say it's the quintessential cyberpunk novel as many proclaim it to be - that's just plain ignorance of the influences of Bester, Delaney and PKD - but it certainly is unchallenged as one of the most influential narratives in science fiction. Definitively cutting edge at the time. Will probably always remain one of my all-time favorites. Emil, I had intended to mention the great noir but got sidetracked. I noticed that early on and it made me realize I don't really know much about cyberpunk. In fact Neuromancer the only cyberpunk title on WWEnd's list that I've read. 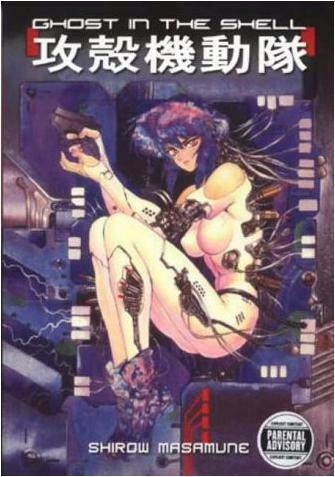 Of course I'm familiar with the concept of cyberpunk (the cover claimed it was the world's introduction to cyberpunk) but I couldn't really make much of a judgement about that. In the foreward Gibson actually mentions the same idea though, that it was more the product of Bester and Leiber than a part of the burgeoning sub-genre. There again, I've only three titles combined from those authors combined and of that small sample, I didn't see many comparisons (haven't hit Delaney yet, but I'd agree with you about PKD). So for me, unfortunately I think I'm left out of that debate for the most part. Still when I think about how to classify this one I definitely think - one of the best! I don't think the edition I read had an introduction by Gibson. Glad to see that he paid his debt to Bester et. al. Modern day proponents of the sub-genre owes a similar debt to Gibson, as I'm certain Charles Stross, Cory Doctorow, Ian McDonald, Neal Stephenson and even Lauren Beukes do (Gibson has written a blurb or two for Lauren). Do check out Richard K. Morgan's blend of cyberpunk and noir. Oh, I said that wrong. It was actually at the beginning of the Audiobook. It was pretty funny because the book cover brags that the novel "launched cyberpunk", yet Gibson pretty defiantly declared he had nothing to do with the genre and that he owed his work to Bester and such. It sort of sounds like one of those situations where the artist puts a thing out in the world and people are gonna interpret it how they want despite the protests of the artist, but it sounds like you think it comes down to ignorance and not people (re)defining the genre? I'll definitely look into Morgan - it sounds great. Alright, you've convinced me to move this higher up on the to be re-read list!